Gary R. Levine, a fourth generation Montanan, was born and raised on a ranch near Augusta, along the Rocky Mountain front. The rugged elements of ranching life molded and shaped Gary’s approach to life and our built environment. He learned early the value of conservative living and the benefits of the efficient use of materials, lessons that, today, strongly influence his approach to design and his love for the craftsman style. Gary attended Montana State University in Bozeman, where he studied art and architecture, graduating with a degree in Architecture in 1972. While serving his internship in northern California, with an architectural engineering firm in the bay area, Gary worked on a variety of residential and educational projects, focusing on space planning and design. It was here that Gary gained valuable experience and lessons in project cost modeling, construction, and project management. With roots buried deep in Montana’a rich rural culture, it did not take long for Gary to return home to his Big Sky Country once his internship had been completed, and the national architectural licensing exam passed. Since returning to Montana in 1976 Gary has committed himself to providing his clients with quality, cost effective solutions that reflect the great heritage of the West. This approach has earned Gary the reputation of being a down-to-earth, practical designer who not only listens to his clients needs, but intuitively understands them. It’s an approach that has helped to propel his firm, Spectrum Group Architects PC to the status of being one of Montana’s most professional and reputable firms. Gary is the founding principal of Spectrum Group Architects P.C., serving as Marketing Director and CEO for the past 35 years. A longtime advocate of client centered projects, Gary has directed the design efforts of all major projects, including Yellowstone County Detention Center, Montana State Women’s Correctional Center, and over 280 K-12 and secondary education projects along with historic restoration work, and over 70 residential projects. Gary is committed to “universal design” for both residential and commercial applications. Spectrum is dedicated to the perpetuation of Montana’s rich heritage, the history it represents, and our rural lifestyle. 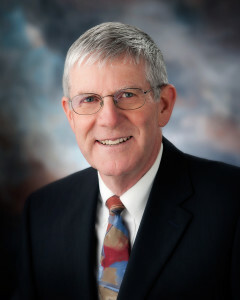 As such, Gary is a board member for the Yellowstone County Museum, member of the National Trust for Historic Preservation and has contributed significantly to the preservation of some of the areas most significant historical structures.